Why Yoga Teachers Are All Using PU Yoga Mat in Yoga Studio? The PU antiskid pad is interpreted in English as polyurethane, which is an environment-friendly material commonly used in the market to produce antiskid pads. PU antiskid pad does not have corrosive, long time exposure will not corrode other places, only a little color fading, and it is non-toxic and odorless, will not affect the surrounding environment. 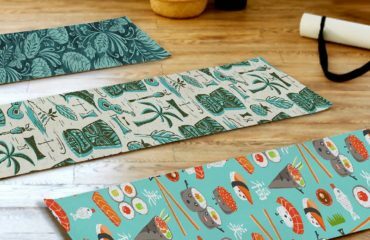 Yoga mat is a direct contact with your body when you are practicing yoga, providing you with support, shock absorption, anti skid and other functions. This has a certain requirement for elasticity and strength. Because it may sweat during exercise, so skid resistance is also important. Besides, the material should be environmentally friendly, not odorous, and not harmful to human body. This kind of yoga mat with PU material will not cause such problems, and it will also make its life longer than other yoga mats. What’s The Difference Between Good Mouse Pad and Bad Mouse Pad?